If you are looking for a quality roofer to keep your Hull property safe from the elements, look no further. We come to you as one of Hull's premier firms, with many years of experience. We take pride in the work that we do and deliver stunning results. 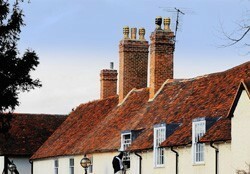 We can provide roofing in a range of high grade materials including felt, slate and tile. But it doesn't stop there. We can also fit Velux windows, upgrade your fascias and soffits, repair and install new guttering and deal with chimney repairs. If you would like more information about any of the services that we offer, call us today. We can also provide free estimates so that you can see how little quality craftsmanship really costs. Give us a call today on Hull 01482 549 915. We'd love to hear from you, so call us and have a chat about your specific needs or to book in a free consultation.